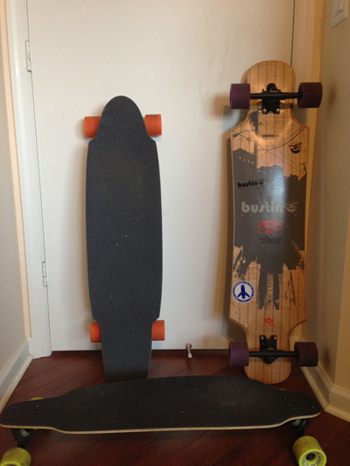 A longboard is a different variation of a skateboard. It is used for cruising, exercising, transporting, racing, and riding long distances. Dr. Isaac Farin, LMFT developed the concept of "Longboard Therapy®". In therapy, people search for healing while hoping to discover solutions for change. Dr. Isaac Farin believes that this feeling of being "stoked" is one of those solutions because it has healing properties within- especially while entering the flow. Encouraging the use of both conscious and unconscious awareness to promote healing and change. Using the Mindfulness/Meditation perspective to promote present-moment awareness, concentration, acceptance, and "letting go". Using longboarding to increase physical control, balance, flow, focus, mental concentration, confidence, and by challenging oneself while developing oneness. Help you discover solutions and possibilities to challenges that may arise. Reduce symptoms of anxiety, depression, and anger. Cultivate present-moment awareness and concentration. Increase happiness, independence, and confidence. Help you achieve your life and exercise goals. A "Longboard Therapy®" session begins with one to two sessions in Isaac's office followed by outdoor sessions in which Isaac and the client both participate in longboarding activities. 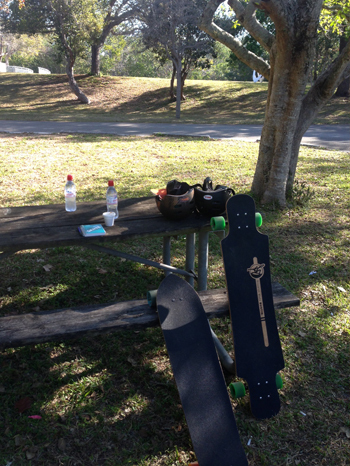 Longboard head gear, and padding will be provided at each session. Clients will be asked to sign an appropriate waiver form. Click here to read the article on the Miami Herald website. Click here to read the article on the 7 News website.